RCI Gold Crown Resort Dreams Villamagna Nuevo Vallarta is recognized as a RCI Gold Crown Resort®, the highest award through Unlimited Vacation Club's affiliation with RCI. Only select RCI affiliates receive this recognition– the highest of the three RCI Award Designations. RCI Gold Crown Resort® designates resorts that have met or exceeded specific standards in the areas of unit housekeeping, unit maintenance, hospitality and check-in/check-out procedures, and an evaluation of resort facilities, amenities and services. Rainforest Alliance Verified Dreams Villamagna Nuevo Vallarta has achieved significant and measurable sustainability milestones and has been awarded with the Rainforest Alliance Verified™ mark. These requirements for verification are aligned with the Global Sustainable Tourism Criteria. 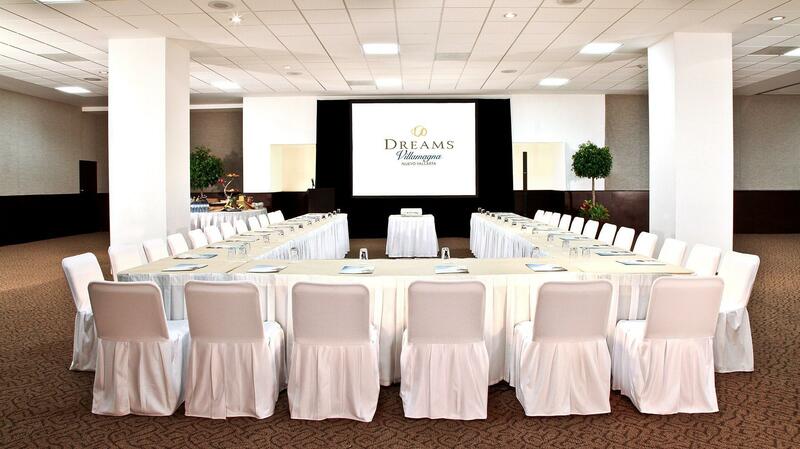 This verification assures the commitment of Dreams Villamagna Nuevo Vallarta to reduce the impact of its activities on the planet and local communities. 2012 TripAdvisor Certificate of Excellence Dreams Villamagna Nuevo Vallarta received the 2012 Certificate of Excellence by TripAdvisor. The Certificate of Excellence is awarded to qualifying accommodations, attractions and restaurants listed on TripAdvisor that maintain a high overall user rating and a high volume of recent and quality reviews. 2012 Quality Assurance Award by MLT Vacations Congratulations to Dreams Villamagna for being awarded the MLT Vacations 2012 Quality Assurance Award. This prestigious award recognizes select hotels in Mexico and the Caribbean for outstanding quality, customer service and product delivery. Marina Vallarta is a 18 hole course designed by the famous American architect, Joe Finger, and located in the marina area of the district of Puerto Vallarta. 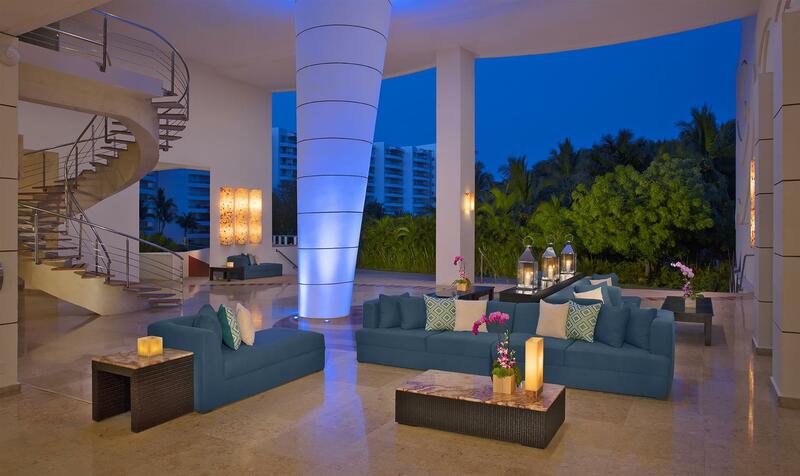 It is a marvelous mix of typical tropical ambience of the Pacific coast with views of the Sierra Madre and Banderas Bay. Its spectacular hacienda style clubhouse is located just a few minutes from the most important hotels in Puerto Vallarta. Surrounded on three sides by nine and a half miles of intoxicating beaches, Punta Mita is one of Mexico’s premier communities and foremost resort sanctuary. Flamingos Golf is Puerto Vallarta's favorite golf course due to our stunning design and unparalleled scenery. The course has 18 championship holes designed by Percy Clifford creator of some of Mexico's top courses. 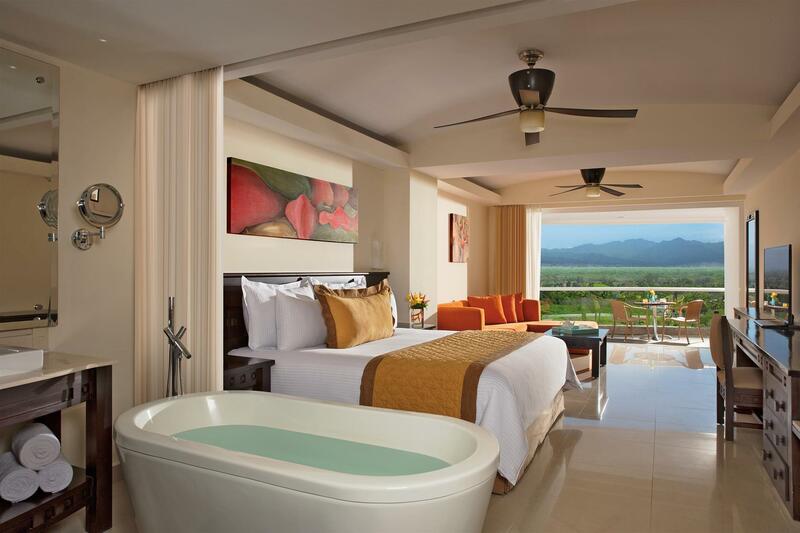 The oceanfront, AAA Four Diamond, Dreams Villamagna Nuevo Vallarta treats couples and couples with children to Unlimited-Luxury with spectacular views of the Banderas Bay, the Sierra Madre Mountains, a gorgeous beach and elegant pools. Located only 30 minutes away from the historic colonial town of Puerto Vallarta, whale watching, fantastic golfing, shopping and nightlife are nearby. The all-suite, 10-story luxury towers feature private balconies or terraces, satellite TV, DVD player, complimentary daily restocked mini bar, and 24-hour room service. Six international restaurants and four charming lounges will tempt guests with exquisite gourmet fare and unlimited premium beverages. A large shimmering pool, two Jacuzzis, a fabulous beach, more day and evening activities than can be counted, including an Explorer’s Club for Kids, are among many options to entertain. Guests can indulge in the Dreams Spa by Pevonia and fitness center. 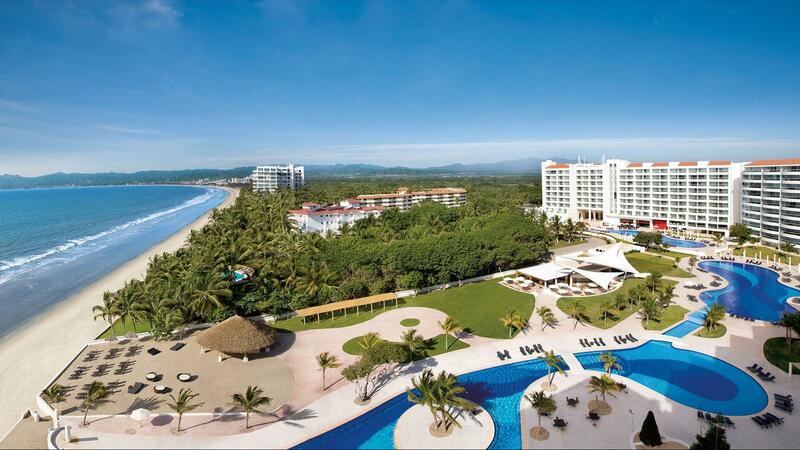 An Unlimited-Luxury escape to Dreams Villamagna Nuevo Vallarta is lavishly luxurious and forever memorable.